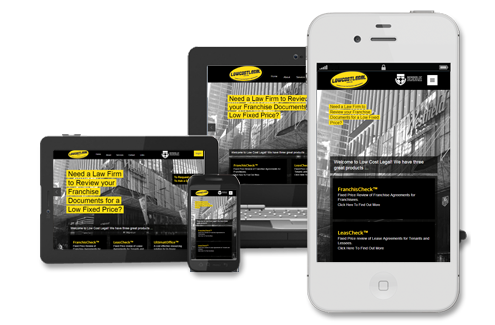 We design your website to work on all devices, from mobile phones and tablets to desktops and large screens. More and more people are becoming accustomed to receiving and reviewing information on their mobile, which is a trend that demands websites to be adapted for both desktop and mobile devices of all screen sizes. Adapting your website for different screen resolutions has become an essential factor during the website development process. If a website is built keeping in mind only the desktop screen, it will not be effective at relaying information on mobile devices. This is where Responsive Web Design comes into play and ensures that the UI/UX remains consistent, irrespective of which device it is accessed on. Another solution is to built an adaptive mobile website, this is where a website is designed for targeted mobile devices (eg: iphones, tablets); those are usually lighter in content and optimised even more for mobile browsing. We’re also conscious of reducing or removing the use of technologies which are not cross-device friendly, such as Flash, as well as device detection to show discrete platform-specific interfaces. This ensures your site and any media on it (like videos) can be viewed on iPhones and iPads as well as desktop computers. For over 6+ years we have delivered more than 100+ Mobile Websites for 500+ customers. By filling in the form below, you can send us the details of your initial project outline before we even get to speak to you. We will respond within 24 hours. How’s that for a head-start !